To begin your journey, SOLIDWORKS created a Certification Program which outlines every certification a user can take if they feel up to the challenge. The below link will get you to the main page of the Certification Program. When you click on the Certification Program link you will find all of the certification resources and training resources available, as well as the tester program required to complete the exams when you feel ready. The number of exams SOLIDWORKS offers is huge. For a complete list of all of them, check out the Certification Catalog link below. 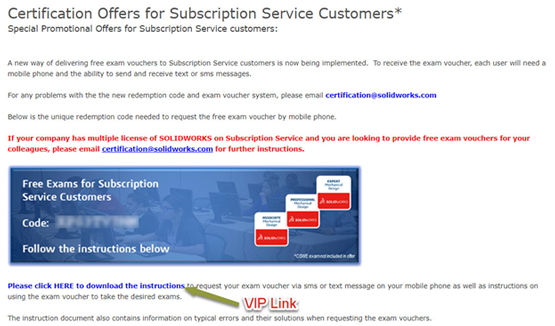 As a perk, SOLIDWORKS users that are currently on subscription service can take some of the exams for free. To begin you will need an online account at www.SOLIDWORKS.com. If you don’t have one, its free to create one. SOLIDWORKS allows two redemption codes per SOLIDWORKS seat on subscription every calendar year. One redemption code for January 1 to June 30 and one redemption code for July 1 to December 31. The redemption code is used to obtain a voucher. The voucher is what you need to take the exams. Here is the link to get you started. Take note the above process is for SOLIDWORKS commercial customers only, but have no fear if you are an Education customer. You can contact the SOLIDWORKS Education team via email at SOLIDWORKS.EDU-Certs@3ds.com to inquire about free certification testing as part of the SOLIDWORKS Academic Certification Provider program. 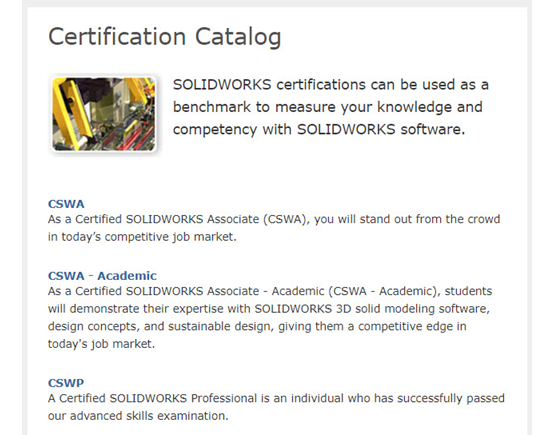 Now that you know which certifications and exams SOLIDWORKS offers. Here is the link to obtain the tester program for you to start taking the exams. After completing an exam and successfully passing. You will be awarded the certification of that exam. For example, here is what the CSWA certification looks like. You can print the certificates off and display them for others to see your accomplishments. You can also download the PDF’s to keep for your records or send to your HR department to be placed in your personnel file. The earned certificates are also stored online under your created account and can be accessed via the above virtual tester link I provided. Regardless of how often you use SOLIDWORKS. I highly recommend going to the links I provided you and expanding your knowledge of SOLIDWORKS. The exams are fun to take and will challenge your skills and knowledge. I promise you won’t be disappointed. Happy Test Taking! Thanks for checking out the Alignex blog! To find a list of courses that will help you prepare for future SOLIDWORKS exams, check out our course catalog below! James Nelson is an Application Engineer at Alignex, Inc. When James isn’t helping customers with tech support questions or doing onsite demos. He spends his limited free time cheering on the Iowa State Cyclones with his wife, coaching sports for his children, and playing Destiny with his coworkers.